55 Comments This post may contain affiliate links. 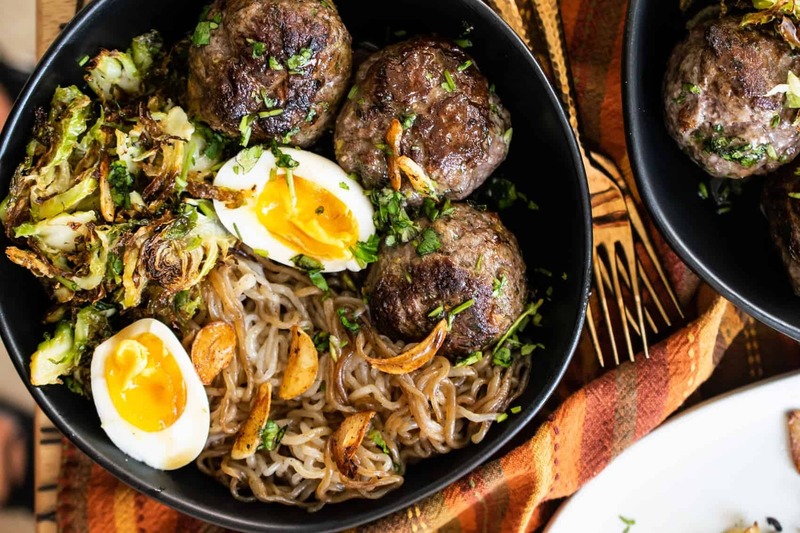 Noodle bowls are oh-so-satisfying. A keto teriyaki bowl? Yes, please! Something about the delicious glaze sauce over savory meats and slurpy noodles! It just screams comfort food. With all the moving stuff, book launch and travel… I’ve been pretty stressed out people and you know what… I haven’t felt like cooking all that much. But today, today I felt good. I napped with Jack and has some tea, a good work out and I was inspired! This Keto Teriyaki Noodle Bowl was conceptualized in my head long ago and I was excited to bring it to life today. I just love when you dream up an idea and when you make it, it is exactly as expected. This keto teriyaki bowl is it! 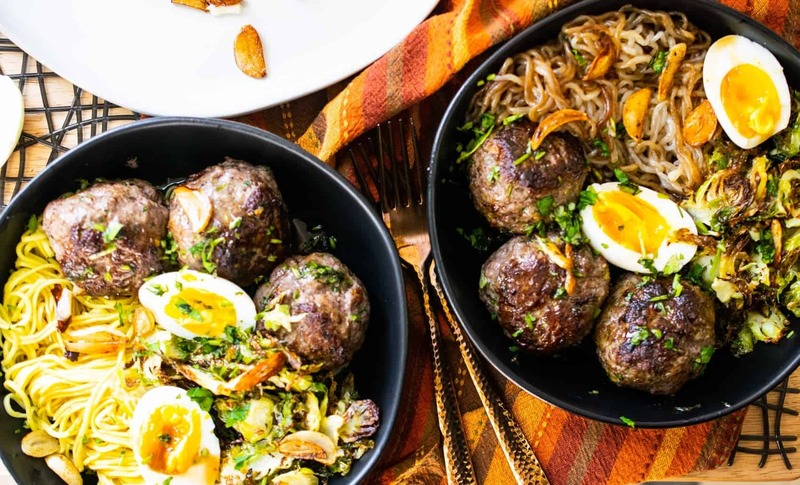 The meatballs are packed with fresh ginger and citrus. Juicy and tender with creamy avocado mixed into them. The sauce is a combination of bone broth reduce with coconut aminos and red wine vinegar for sweetness and tang. Then bloomed gelatin is mixed in to thicken it all up and boom! You have legit teriyaki sauce. Glazy, salty and sweet. The noodles are shirataki noodles. Those magical yam noodles made of konjac root that are low carb and when prepared right, absolutely convincing. If you haven’t had success with them before, try them my way! If you’re not into it at all or on a Whole30, use zoodles (zucchini noodles)! 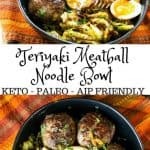 Either way the recipe is the best keto teriyaki noodle bowl you’ve ever tried! I love bowls, I love eating keto and I love teriyaki. This keto teriyaki bowl is a dream come true! Don’t be scared by the long recipe and ingredient list. A lot of it is optional. Fried garlic, crispy brussel sprouts, jammy eggs. 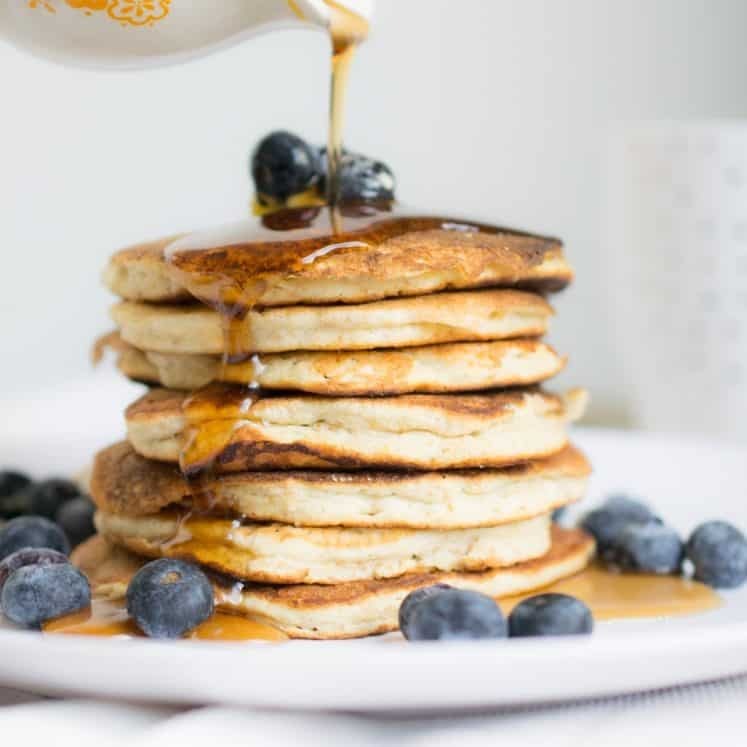 You don’t need them… but they are delicious. 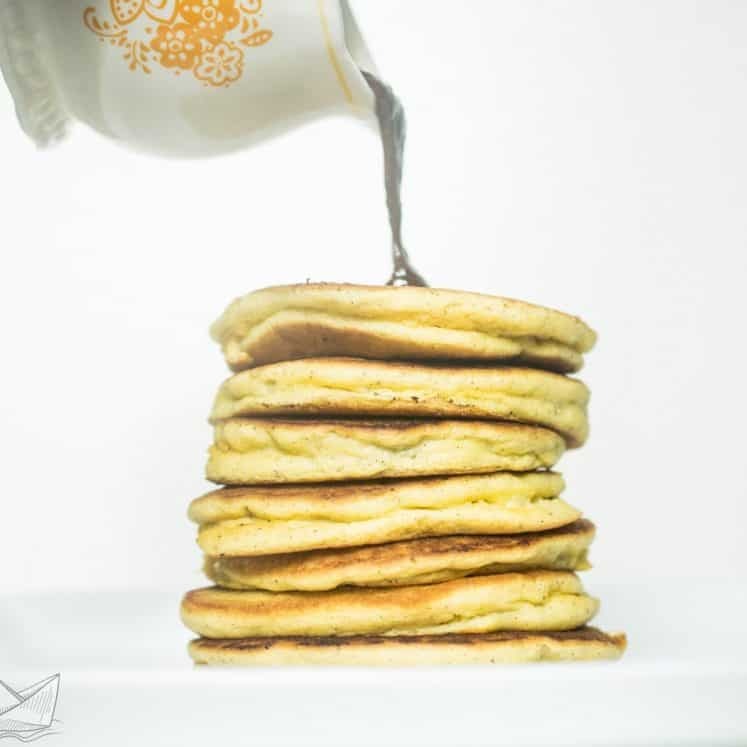 If you’re AIP, leave the eggs out, the rest of the recipe is 100% AIP compliant! If you’re on a Whole30, use zucchini noodles. Shiratake noodles are made with 3% soluble fiber from konjac root and 97% water! They are grain and gluten free. Low carb and low calorie! 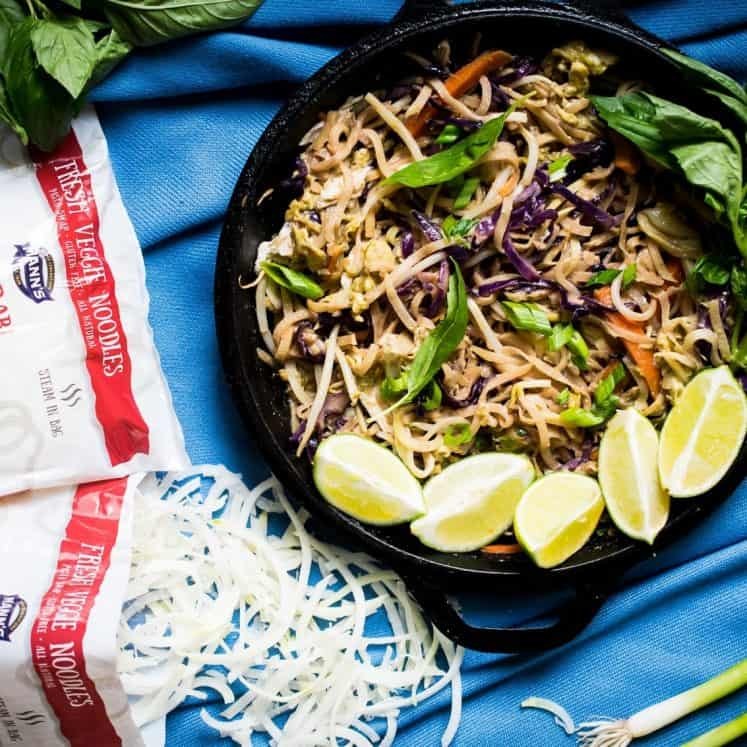 Questions about SHIRATAKI NOODLES? Learn More HERE. You can also use glass noodles too. Whatever works best for you. The RECIPE here is mostly for the SAUCE and the Meatballs. The rest of the bowl is up to you! Keto noodle bowl, squeaky clean. AIP and Whole30 friendly, read post above! 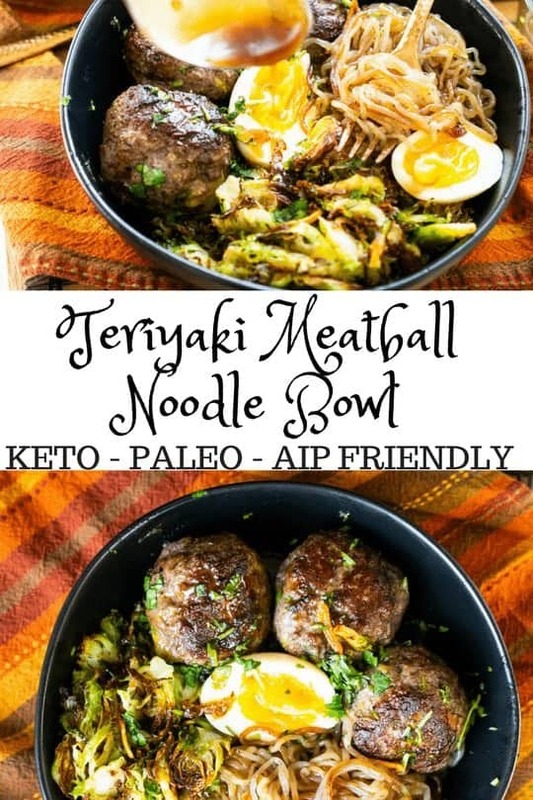 In a large bowl mix together, the ground beef with the rest of the meatball ingredients until well combined, the avocado should be completely mixed in with only traces of green specks in the meat, no chunks left. Shape 12 large meatballs. Bring a small sauce pot full of water to a boil. Put the 4 large eggs, gently in the pot. Boil for 7 minutes, then drain the water and add ice to the eggs, set aside. Toss the brussel sprouts on a sheet pan with 2 tablespoons avocado oil and 1 teaspoon salt. Spread them out flat over the sheet pan and pop in the oven- middle rack. Heat a large skillet over medium heat. 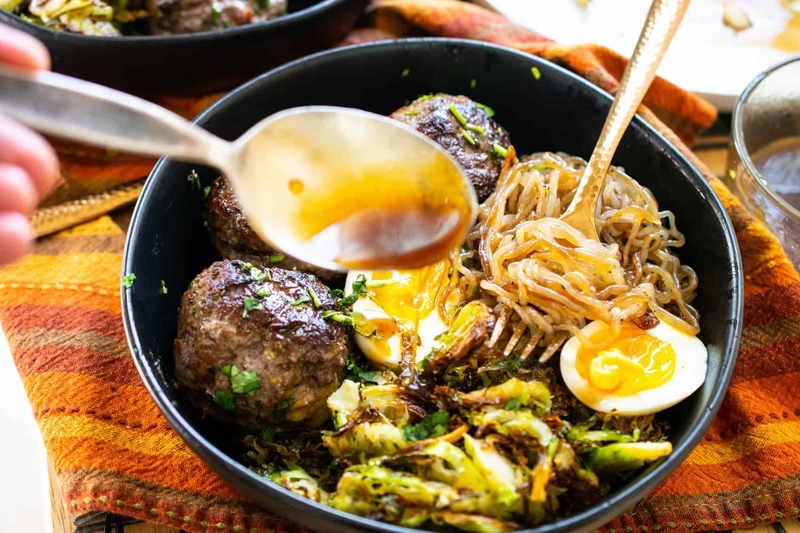 When it comes to temperature add 2 tablespoons of avocado oil to the skillet and brown 6 meatballs at a time, 2 minutes a side, then transfer to a sheet pan. Repeat with the remaining meatballs and then put them in the oven. Add the meatballs to the oven, with the brussel sprouts, for 10-15 minutes until the sauce and noodles are ready. In the same sauce pot where you boiled the eggs heat the bone broth with the fish sauce, red wine vinegar, and 2 tablespoons coconut aminos. Bring to a boil and reduce for 10 minutes. Add 1 scoop gelatin to the remaining coconut aminos and let it sit until it gels up solid. In the meantime, drain and rinse your noodles and submerge in cool water. Set aside. Heat the skillet where the meatballs were browned and add a little extra avocado oil. Then add in the sliced garlic and fry until golden. Remove from the skillet. Drain the noodles, add to the skillet, sprinkle with salt and sauté in the garlic infused fat for a few minutes while you finish the sauce. They will coat in the fat and get brown and yummy! Remove the bone broth reduction from the heat, scoop in the solid coconut amino-gelatin mass and whisk into broth until smooth and thick. Set aside. 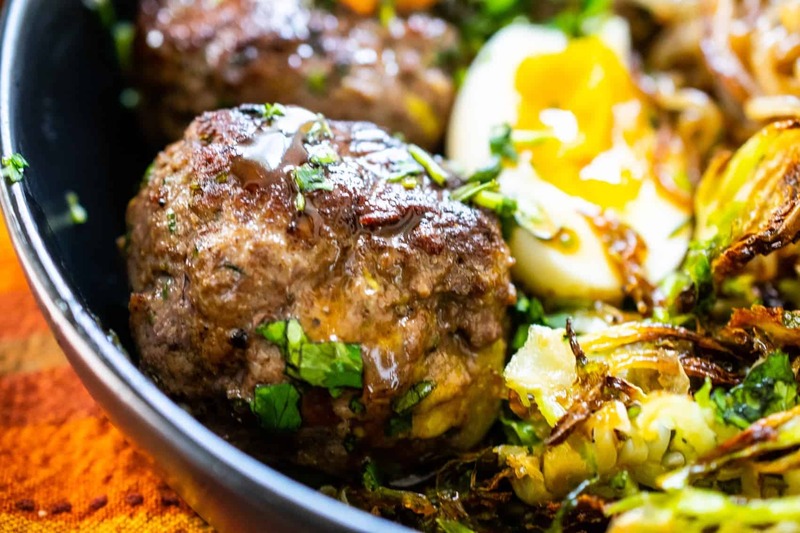 Remove the toasty brusssel sprouts and cooked meatballs from the oven. Divide the noodles in between 4 large bowls, then the brussel sprouts. Add 3 meatballs to each bowl. Garnish with fried garlic, minced cilantro. Peel the eggs and halve them. Add ½ -1 egg to each bowl. Spoon thick teriyaki sauce generously over each bowl and dig in!! The Macros Include ALL THE MEATBALLS AND ALL THE SAUCE. The recipe is best with 3 meatballs per person. There will be leftover meat and leftover sauce. However, if you divide the entire recipe by 4… the macros are as listed. I have not been able to locate the nutrition amounts for the TERIYAKI MEATBALLS NOODLE BOWL. I am working with a 75 year old brain, so that could be the problem. Really want to try this recipe. Looks fantastic. 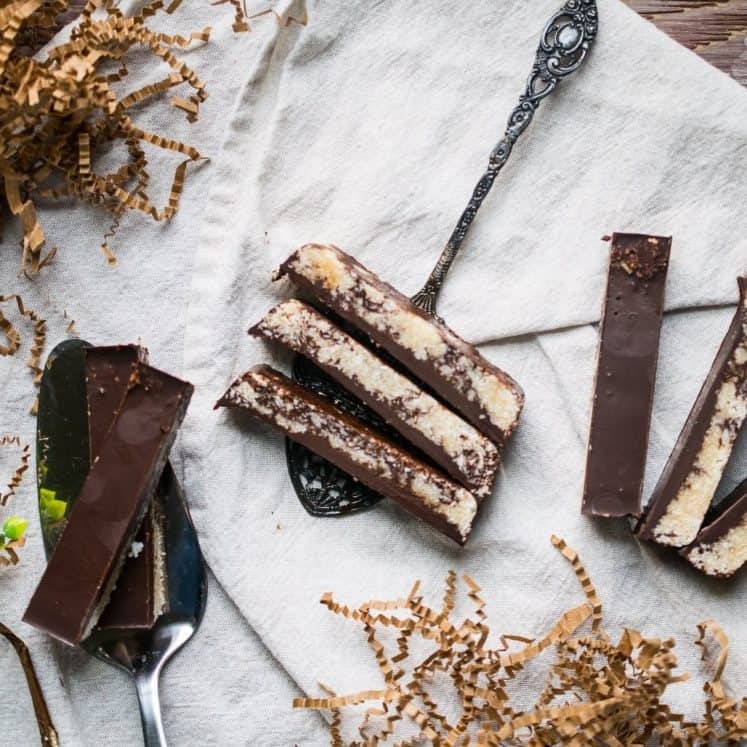 It’s not listed on this recipe, sorry! Can I use Xantham gum in place of gelatin? I don’t know, I don’t cook with xantham gum. This was really yummy! Winner winner meatball dinner!! At first I was like “15 steps!!??”. But, it all came together easily. hehe yes! it’s not hard, but with the various components I wrote the instructions to walk you through it so you could make them simultaneously, doesn’t read easy, but it works. Delicious!! This was the perfect warm my bones meal on a snowy evening. I used zucchini noodles and it was perfection. woohoo thanks for sharing Tara!